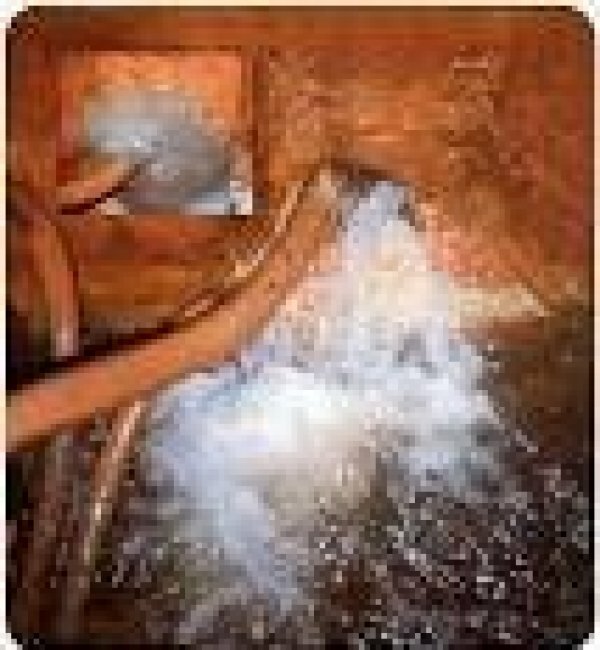 You are here: Home Business building and trades Do you have rising damp in your house? Rising damp is where moisture is absorbed from the ground into your wall. The moisture is wicked up, bypassing damp course and possibly waterproofing into your wall. 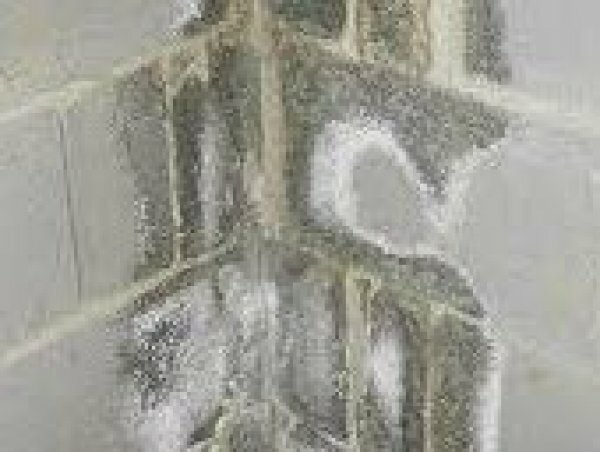 When this doesn't dry out then properly the wall remains damp causing mold growth, efflorescence creating at the very least an unpleasant looking wall. Unseen is the potential damage to your wall itself. 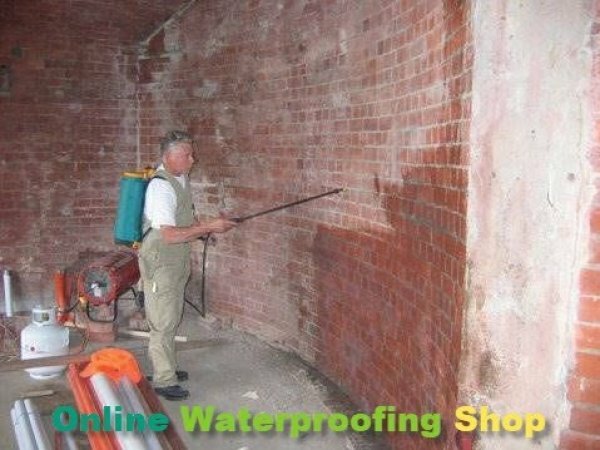 This could be evidenced by staining, cracks, spalling brick or masonry depending on the wall. 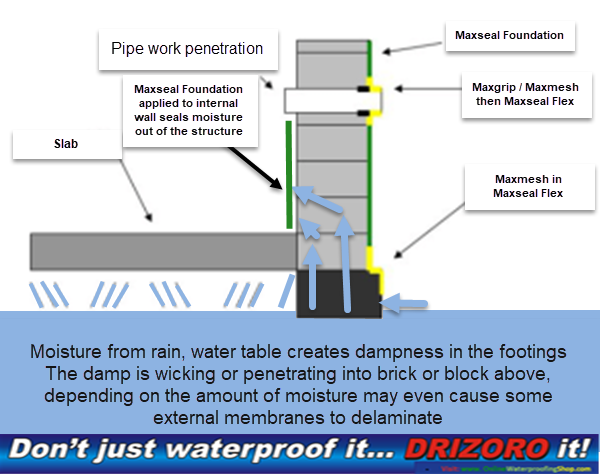 See some of the pictures below moisture penetrations and for the more technical minded a diagram of how rising damp may enter your dwelling. • Can be rendered or painted over. • NOT affected by salts and acids in soil. • Easy to apply with Drizoro brush. • Will seal against positive and negative water pressure. 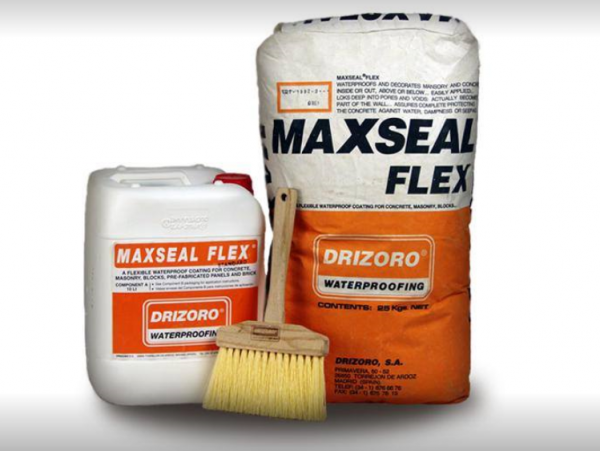 It can also be used as waterproofing layer or barrier against humidity by capillarity on a variety of masonry or mortar substrates.